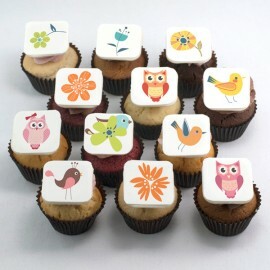 Mother’s Day themed Cupcakes There are 4 products. You have a special occasion? I offer you this wonderful marshmallow fondant flower to decorate the butter cream of my 10 regular cupcake flavors: Vanilla, Chocolate, Banana, Lemon, Coconut Milk, Orange, Red Velvet, Lime-Basil, Chai and Espresso, garnished with my delicious butter cream icing (Vanilla, Chocolate, Lemon, Raspberry, Coconut and Mokaccino). Whether it’s for a little girl or a “fashionista’s birthday party, nothing can be cuter than pure butter cupcakes decorated with makeup, jewels or clothes made of marshmallow fondant! A tasting of quite remarkable beauty. 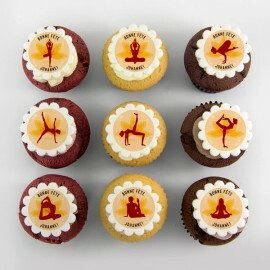 Looking for an idea for a yoga themed birthday or event? Our pure butter cupcakes decorated with different yoga postures made of marshmallow fondant will sound like a zen celebration even for the greediest ones!